Are Flu shots more dangerous than other vaccines? A common example of fake vaccine news can be found in a post from “Health Impact News” that is at least 5 years out of date but continues to be shared as if it were breaking news. The news article highlighted data from the National Vaccine Injury Compensation Program (VICP) during 2013. There were 139 claims settled during this time period, with 70 of them being compensated. Of the 70 cases compensated, 42 of them were for the influenza vaccine. This old dataset was used on December 11, 2018, by the “NWO Report”, with a headline of “Dept. of Justice Admits Flu Shot Is Most Dangerous Vaccine in US”. The most recent VICP data published on November 30, 2018, covers all vaccines administered from 2006 to 2016, along with the number of claims filed and awarded by VICP. This data does indicate that the largest number of VICP cases in which compensation was awarded involved the influenza vaccine, it also clarifies there were 1.2 billion more flu shots delivered than the 2nd ranked vaccine. A better way to compare these data would be to divide the number of successful claims per vaccine by the number of doses of that vaccine given over the same time period. On a percentage basis, influenza vaccines were only 1.8 VICP claims per million doses delivered. Which would rank flu vaccines as #6, with tetanus vaccines #1, with 12.3 VICP claims per million doses delivered. Therefore, since the DOJ never asserted that these data were meant to determine the “most dangerous” vaccine and because the data released by VICP do not support the notion that the influenza vaccine is actually the “most dangerous” vaccine, we believe this article’s claim to be false. The National Vaccine Injury Compensation Program, a no-fault alternative to the traditional tort system. It provides compensation to people found to be injured by certain vaccines. Even in cases in which such a finding is not made, petitioners may receive compensation through a settlement. The VICP was established after lawsuits against vaccine manufacturers and healthcare providers threatened to cause vaccine shortages and reduce vaccination rates. The Program began accepting petitions (also called claims) in 1988. Any individual, of any age, who received a covered vaccine and believes he or she was injured, as a result, can file a petition with the U.S. Court of Federal Claims. The U.S. Department of Health and Human Services medical staff reviews the petition, determines if it meets the medical criteria for compensation and makes a preliminary recommendation. Then, the U.S. Department of Justice develops a report that includes the medical recommendation and legal analysis and submits it to the Court. During 2015, the 21st Century Cures Act made several amendments to the National Childhood Vaccine Injury Act of 1986, which is the VICP authorizing legislation. Within the 21st Century Cures Act, the Secretary of Health and Human Services published an important rule change in the vaccine court in favor of the injured and gives individuals an easier path to recovery. Moreover, the 2015 rule change effectively reopens the statute of limitations period for cases that were previously time-barred. And, the statute of limitations in vaccine-injury cases is not state specific. 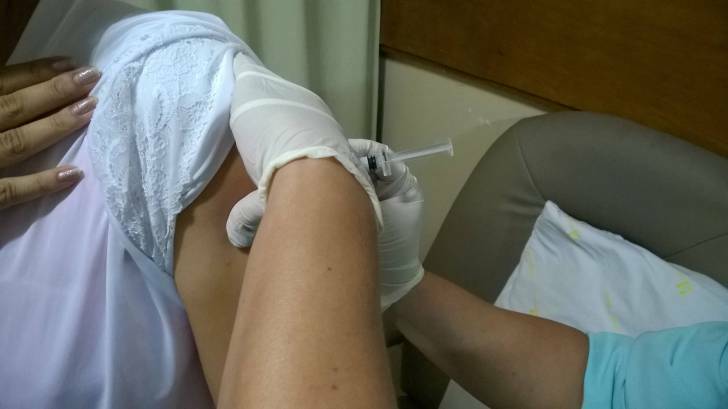 A recent study reiterates the need for healthcare professionals to take certain precautions to minimize the risk of vaccination patients suffering a Shoulder Injury Related to Vaccine Administration (SIRVA). A SIRVA injury occurs when a needle injection is administered too high in the arm, and the vaccine is delivered to the shoulder capsule, instead of the deltoid muscle. It is common to experience a dull muscle ache after a vaccine injection, but that pain disappears within a few days. "With flu season underway both the public and healthcare providers should understand how to recognize and respond to SIRVA," said Kelly Grindrod, a professor in the School of Pharmacy at Waterloo. Dr. Grindord said in a press release there are strategies we can adopt to decrease the likelihood of experiencing SIRVA.